Who/Wer is a collaborative project between fine artist Magda Stawarska-Beavan and playwright Wolfgang Kindermann. 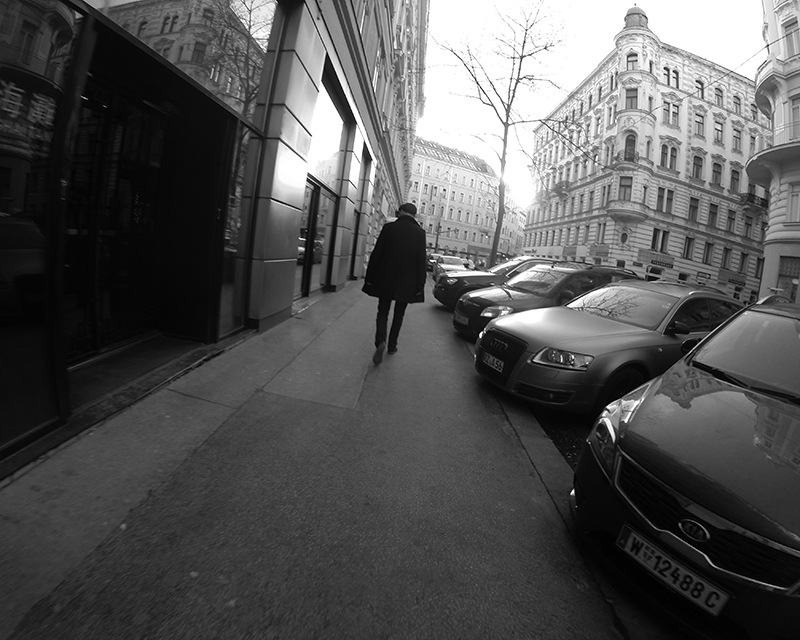 In January 2015 Magda asked Wolfgang if she could follow him walking through his home city, Wien. She followed him closely, within a distance of five or fifteen meters, recording sound and images of their journey. They walked together and apart.Magda recorded the sounds of his route using binaural microphones worn in her ears and captured fleeting images via the uncontrolled lens of a camera attached to her body. Navigating the boundary between public and private, she pursued him on foot and by tram, attempting to elicit traces of his personal story from the places he habitually moves through. Months later she gave him the audio recording of his quotidian journey around the city’s Ringstraße inviting him to listen and respond in writing. The streets and theatres which form the backdrop of Wolfgang Kindermann’s daily experience are also haunted by the memories and complex narratives of his present and past. Who/Wer is a 20 minute film of still images, binaural sound composition, text and narration in German and English. 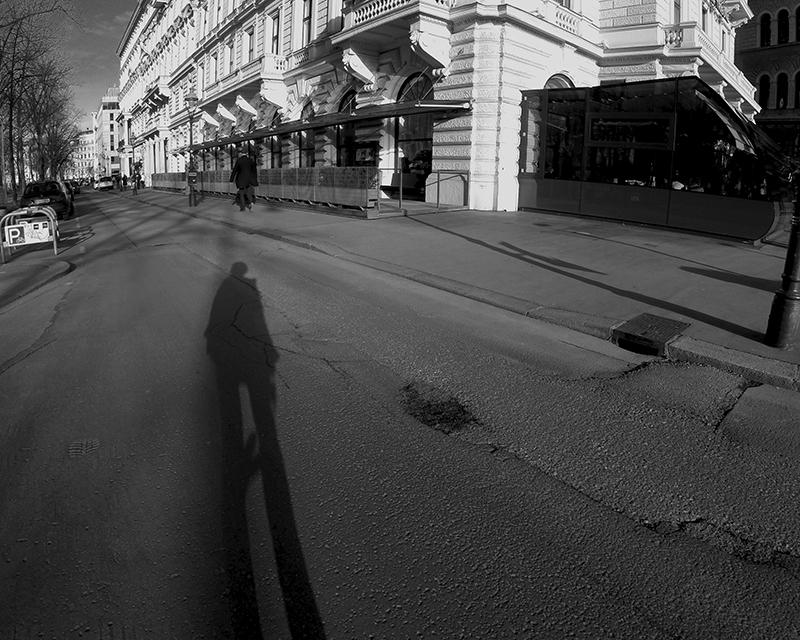 The film explores the relationship between image, text, language, narration, voice, and urban soundscape. How all these elements influence the way we perceive a story within the medium of moving image.